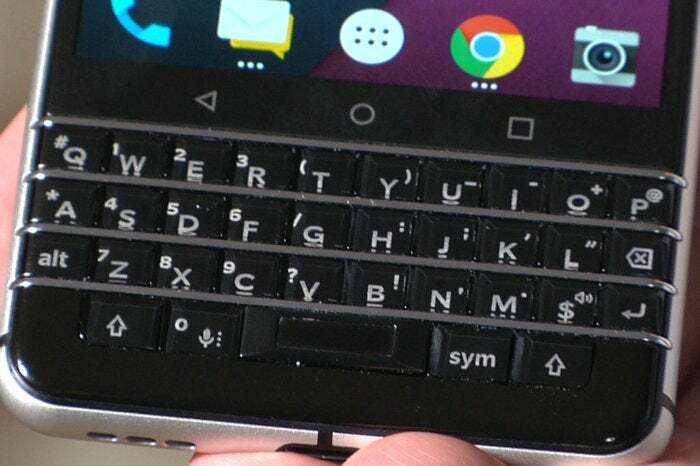 The company hopes to reverse BlackBerry's fall with new phones. TCL Communication has big plans for BlackBerry, even though it’s a brand that’s been written off by many. The China-based electronics company recently acquired rights to design, manufacture and sell smartphones under the BlackBerry name with BlackBerry’s security and service software installed. The deal puts TCL in the driver’s seat on hardware and the first phone under the new deal was previewed on Wednesday. 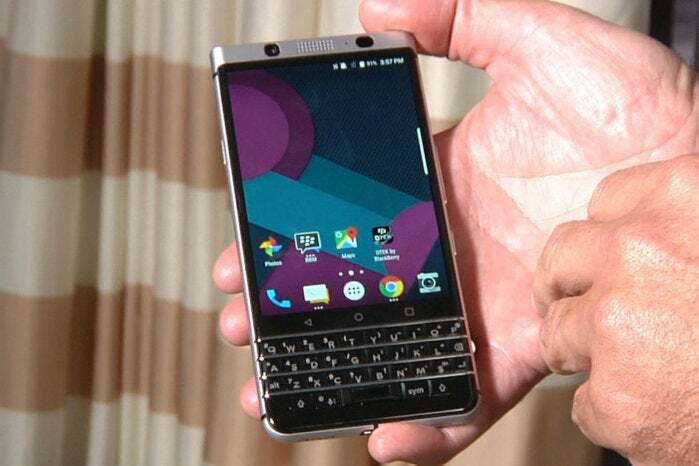 While still in the final stages of development, the new handset sports the physical keyboard that propelled BlackBerry to the top of the smartphone market in the 2000s and is the first to combine that keyboard with the Android operating system. A BlackBerry handset developed by TCL Communication is demonstrated on January 3, 2017. TCL hopes that combination will reverse BlackBerry’s collapsing sales in North America during 2017 and return the brand to growth in 2018. That could be a tall order given the fierce competition in the smartphone market and TCL’s targets for grabbing market share. “We will create a full portfolio that can manage to challenge both Apple and Samsung in the enterprise space,” said Steve Cistulli, president and general manager of North America for TCL. Cistulli said he believes the brand still has a strong image among enterprise customers. “When you take a look at which EMM, MDM solutions are really winning, you look at Mobile Iron, VMware and BlackBerry is certainly one of the top solutions being implemented globally,” he said. TCL will be particularly focused on the U.S. and Canadian governments and the banking and medical sectors in each country—all areas that have stricter regulatory oversight than other businesses and where BlackBerry is widely used. The phone’s launch will coincide with the early months of the presidency of Donald Trump, who has already been critical of large government contracts going to foreign companies, and comes amid continued reports of international hacking. 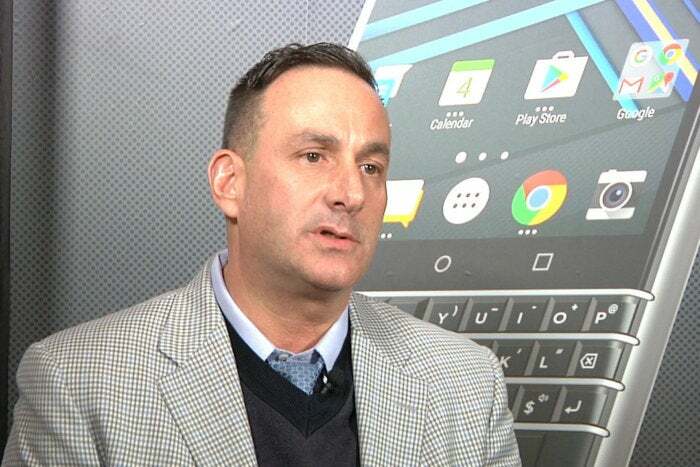 But Cistulli says users can put the same trust in BlackBerry now as they did in the past. Steve Cistulli, president and general manager of North America for TCL Communications, in an interview with IDG News Service in Las Vegas on January 3, 2017. “The software development is still done by BlackBerry in North America,” he said, adding the security software on the phone is still signed by BlackBerry and not a foreign company. The phone that was presented on Wednesday is still under development. More details on the device are promised for Mobile World Congress, the mobile telecom industry show that will take place in Barcelona in March. Cistulli said TCL also plans to offer the phone to consumers through carrier partners.